A variety of manufacturing plants handle plastics as a part of their process. Sodimate supplies both storage and conveying equipment for all types of plastic resins including small pellets, granules, flakes and powders. The custom-designed systems include a silo, or smaller storage container if necessary, a mechanical unloader to ease the discharging of the silo, and a volumetric or gravimetric screw feeder. Sodimate equipment can also be combined with a pneumatic transfer system to move the plastics to the next processing point. 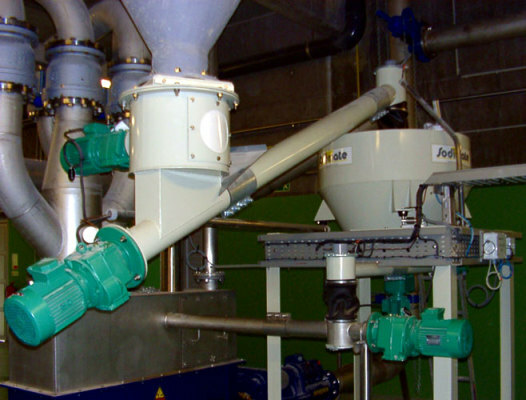 The dry sorbent injection systems can also be used by the plastics industry to control toxic flue gas emissions.